The SharePoint 2010 Health Analyzer is pretty slick, it will tell you everything that it finds wrong in your environment. While it can be annoying, it is very telling. Some of the rules that it uses to inform you of issues can be safely ignored, and you can disable some rules if you have no intention of using certain features. 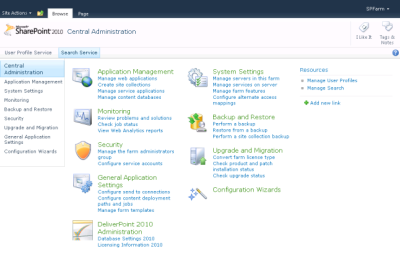 However, it’s pretty nice to login to Central Admin and see no bar of any color under your top links.